It's blueberry harvest in Finger Lakes Wine Country! Visit McGregor Vineyard Winery on August 13 & 14, 2011 for their annual Blues and Blueberries weekend celebration from 10am-6pm each day. During this event guests are treated to samples of blueberry themed foods and wine samples of their choice along with some great blues music. On Saturday, Rochester based bluesmen Buford and Smokin Dave are performing from 1-4 pm and Keuka Lakes own Bruce Holler will perform from 5-8 pm. On Sunday guests will be treated to local bluesman Steve Peao performing from 1-4 pm. Stacey McGregor is preparing some scrumptious gourmet delights for this special event. Guests will be treated to Blueberry Pulled Pork Sandwich, Blueberry Coleslaw, Muranda Cheese Companys Crazy Charlie Cranberry Chipotle Cheddar, and a Mixed Berry Crumble with Fresh Whipped Cream. Fresh and organic blueberries will also be served and sold from the McGregors Serendipity Blueberry Farm U-Pick patch located just 15 minutes from the winery. The cost of this event is $10 per person which includes the food and wine samples and a McGregor wine glass. Reservations are appreciated. This event is also a great time to sample some recently released McGregor wines that are perfect for this hot summer weather including their 2009 Muscat Ottonel, 2010 Rkatsiteli-Sereksiya blend and 2010 Rosé dCabernet Franc. The winery is also open until 8 pm on Friday and Saturday evenings through the end of August and offers wine by the glass and local artisanal cheese boards during the summer months. McGregors vineyards were established 40 years ago and the winery opened to the public over 30 years ago. Since its inception, McGregor Vineyard has followed the European philosophy of winemaking. Each year's production is a reflection of the "voice of the grapes, the skill of the vineyard manager and the art of the winemaker. The McGregors offer a unique wine tasting experience where you enjoy your wine samples while sitting in a rustic and relaxing atmosphere. The folks at McGregor Winery try to make your tasting experience relaxed, enjoyable and memorable. 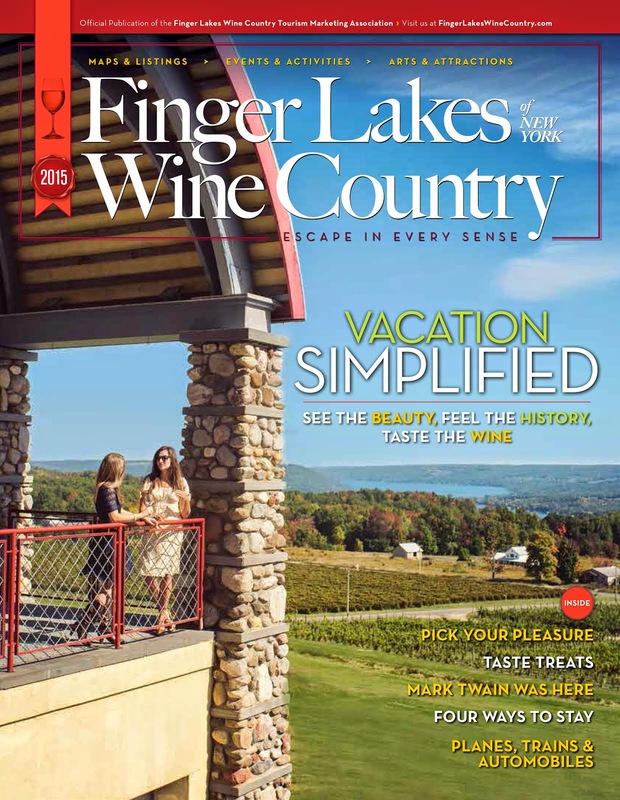 The winery is located on the east side of Keuka Lake overlooking Bluff Point and is home to one of the most beautiful views of the lake imaginable. Call 800-272-0192 for more information and visit the winery on the web at http://www.mcgregorwinery.com/.